Security Memetics: Can I Interest You Like Some RFID-Blocking Headwear? Can I Interest You Like Some RFID-Blocking Headwear? 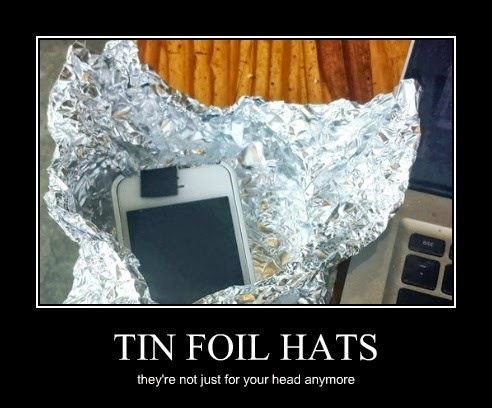 While the advantages conferred on you by wearing a tin foil hat are dubious at best (unless you genuinely do have an RFID chip implanted in your scalp), tin foil might make a little more sense for your devices. Hopefully you aren't expecting any important calls, though.